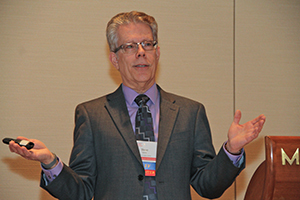 Health Literacy Special Collection: Curricula for teaching health literacy skills to adult learners and the general public as well as training for health professionals to better address health literacy in their settings. Health Stories from News Readers Press: A healthy dose of readings and language activities to help adults navigate the U.S. health care system. 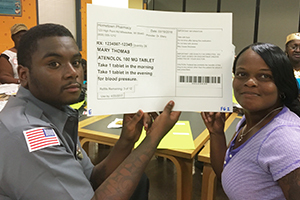 LaRue Literacy Exercises: Provides literacy exercises on topics such as reading medication labels and medication side effects in five languages: English, Arabic, Hmong, Somali and Spanish. Staying Healthy: An English Learner's Guide to Health Care and Healthy Living. A publication of the Florida Literacy Coalition, Inc.
Understanding Medical Words: This tutorial from MedLine Plus teaches about medical words, including how to put together word parts. It also includes quizzes to test comprehension. Research-based Health Literacy Materials and Instruction Guide: The National Institute for Literacy has developed a set of research-based health literacy materials for beginning ABE and ESL learners. These health literacy materials meet the need for adults to enhance their literacy skills as well as their need to navigate the health care system and begin to achieve better health care for themselves and their families. 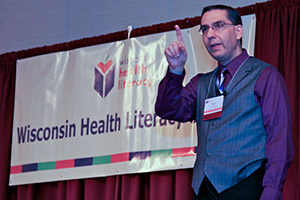 Teaching English for Health is available through Literacy Network, Madison, WI. This award-winning program comes with a series of training videos, a curriculum guide, 24 detailed lesson plans and a grant template that has been used to successfully earn resources for the program. Teaching English for Health includes the tools necessary to teach adults who have low literacy and limited English proficiency. To learn more about English for Health, contact Literacy Network.